Congratulations! After 9 months of waiting the day has finally come and gone. Your baby boy or girl is finally coming home! Now that your bundle of joy has arrived, we would love to transport mommy and new baby home from the hospital with care from any hospital in Connecticut. In our beautiful limos and the comfort of clean soft leather seats you can have a stress free first ride home. Let our knowledgeable chauffeurs take care of installing the car seat and handling your luggage. It's your turn to relax! 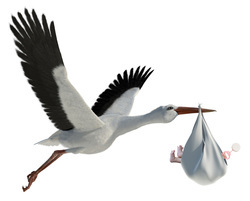 Our drivers are familiar with the Birth Center Hospitals all throughout Connecticut such as Yale New Haven, St Raphael's Yale campus, Hartford Hospital, St. Francis and all surrounding areas in the state. No worries about full parking lots with our curb side assistance and door to door service! Book your limousine now by completing the quote form or call us today!